Ordering the right test at the right time can be a complex process. 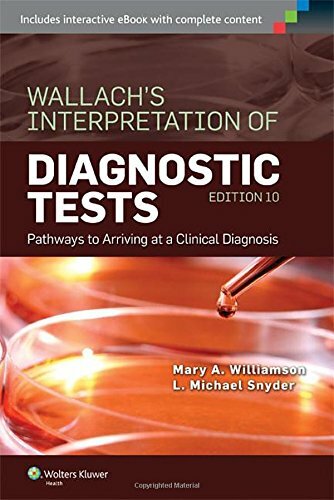 The revised and updatedWallach’s Interpretation of Diagnostic Tests, 10th edition is here to end the confusion. This practical, everyday guide expertly answers the questions physicians most often ask regarding individual disease states, lab tests, and infectious disease assessments. Recommendations are given on when to order tests and how to interpret results, based on evidence-based laboratory medicine. Explore the sample chapter now, and see how this guide will help you save time, avoid errors, and diagnose properly.